Canada 102, 1949 Canada National Easter Charity Seal, French Text, full gum, F, MNH. This is the first National Easter Seal with French Text. 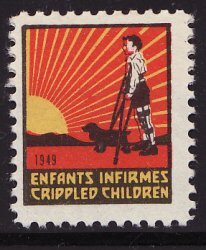 Same as Canada 101, but inscribed "Enfants Infirmes - Crippled Children"
Canada 102, 1949 Canada National Easter Charity Seal, French Text, full gum, F, MNH. This is the first National Easter Seal with French Text. Same as Canada 101, but inscribed "Enfants Infirmes - Crippled Children". Colors: red, yellow, and black. Perf. 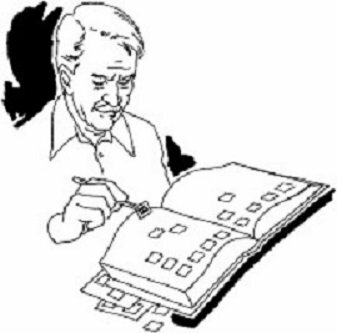 11 x 11.